Despite decades of research, there remains no gold standard of measurement and assessment of trauma experiences and related symptomatology. The lack of standardization in measurement comes, in part, from no clear definition of what constitutes traumatic stress (Kira et al., 2008). Additionally, there is little consensus as to which contextual factors are most important to examine, and there is great variability in the range of symptomatology that may come from the experience of trauma (Kira et al., 2008). An additional challenge in assessing trauma includes the heterogeneity of experiences. For example, two individuals who have exposure to the same type of trauma, such as physical abuse, may have very different experiences of the event and display different symptoms (Grant, Compas, Thurm, McMahon, & Gipson, 2004; Hoffman et al., 2014). Further, it is rare for individuals exposed to trauma to only experience a single traumatic event; it is far more likely for individuals exposed to trauma to have experienced multiple types of trauma, also known as cumulative trauma (Kira et al., 2008). Therefore, it becomes challenging to assess for all possible traumas and other individual factors that may influence symptoms. Linguistic Inquiry and Word Count (LIWC; Pennebaker, Booth, & Francis, 2007) is a novel approach to assessing trauma that may help to capture individual differences in experiences and address limitations of more commonly used assessment techniques. Current popular methods of assessing trauma include checklists and structured and semi-structured interview methods (Grant et al., 2004). Checklists are efficient methods for quickly measuring the number and types of traumatic events experienced by individuals. Despite checklists’ ease of use, this approach is limited in that it does not capture the heterogeneity of experiences and often assumes that one experience is objectively similar across individuals. Furthermore, checklists often lack a comprehensive list of all potential traumas and may miss events that are important for individuals (Grant et al., 2004). They also do not assess contextual information such as severity or duration of the event. A lack of contextual information surrounding traumatic events is a significant limitation, as factors such as duration of trauma, greater number of traumatic events,and an individual’s gender may influence the perceived threat of an event and symptomatology (Frissa et al., 2016). Recently, LIWC has been used to evaluate symptomology and cognitive processing by analyzing victim’s language when discussing traumatic experiences(Gray & Lombardo, 2001; Ng, Ahishakiye, Miller, & Meyerowitz, 2015; Marshall, Henderson, Barker, Sharp, Venta, 2017). LIWC is a computer program that analyzes language by searching for and counting psychologically-relevant words across multiple text files (Tausczik & Pennebaker, 2010). LIWC analyzes every word in a narrative and then places the word into a category. For instance, the word “the” is determined to be in the dictionary, and is then categorized as an article, whereas the word “hurt” would be put in the category emotionality and then specified as a negative emotion word. LIWC is also able to produce objective characteristics of the narrative, such as word count, narrative length, and use of speech fillers (Jaeger, Lindblom, Parker-Guilbert, & Zoellner, 2014). Overall, the goal of LIWC is to use objective linguistic data to glean information about an individual’s cognitive processing, including attentional focus, emotionality, and thinking styles. Thus, LIWC evaluates language beyond the surface level content an individual is expressing and may provide more in-depth contextual data on trauma symptoms and processing. Recent research supports the use of LIWC’s ability to tap into individual’s well-being beyond their subjective report. Indeed, a recent study found that language use is able to predict the genetic expressions that are indicative of well-being better than individuals’ reported affective experience, such as anxiety and stress (Mehl, Raison, Pace, Arevalo, & Cole, 2017). In other words, analyzing language use provides greater insight into individuals’ mental health and overall well-being than their subjective report of health and affective experience. Although it is beyond the scope of this article to fully review the literature, it is important to note that accumulating research suggests certain linguistic markers are particularly relevant in trauma narratives. Existing literature has found that emotion words, pronoun use, and cognitive process words to be the strongest predictors, as compared to other linguistic markers, of posttraumatic stress disorder (PTSD) symptoms. Additionally, increased word count and increased use of somatosensory detail (i.e., words that describe body states and perceptual experiences) have been shown to predict PTSD symptoms (Alvarez-Conrad, Zoellner, & Foa, 2001; Gray & Lombardo, 2001; Papini, Yoon, Rubin, Lopez-Castro, & Hien, 2015; Crespo & Fernández-Lansac, 2016). Although literature is primarily based on adult populations, findings have recently been replicated in adolescents as well (Marshall et al., 2017). More importantly though, there is evidence to suggest that analyzing an individual’s language use can aid in the prediction of symptom change over time. To date, two studies have found that particular linguistic markers within trauma narratives—use of cognitive process words and somatosensory detail—predict trauma symptom change over time, in both adult and adolescent populations (D’Andrea et.al., 2012; Marshall et al., 2017). For instance, in trauma narratives following the September 11thterrorist attack, research found that greater use of cognitive process words predicted a longer duration of PTSD symptoms at a six-month follow-up. This finding was replicated in an adolescent inpatient sample, specifically in trauma accounts of sexual abuse, greater use of cognitive process words and fewer somatosensory details at intake predicted significant decreases in self-reported trauma symptoms at discharge. Such findings have important implications for the use of linguistic analysis in future research and clinical work. LIWC is a useful tool for analyzing structural and content-related features of trauma narratives, a frequently used component of trauma-focused research and clinical work. Analyzing trauma narratives allows researchers to better understand contextual information specific to each participant, beyond the information gleaned from standardized assessments. However, designing, administering, and analyzing a comprehensive trauma-focused clinical interview takes hours of preparation and training. This immense task is often an inefficient use of researcher’s time, particularly when more efficient methods exist. Researchers can use LIWC software to quickly and reliably analyze the structural and content-related features of trauma narratives. Importantly, LIWC can be administered by research assistants with relatively little training (Marshall et al., 2017), bypassing a time-intensive requirement for training trauma-informed clinicians and researchers in collecting and analyzing these narratives. LIWC can also be used as a novel approach to analyze electronic data gathered from a broader sample of trauma survivors who may be unable or unwilling to attend an in-person research study session. Researchers have used LIWC software to analyze web-based writing about traumatic and/or stressful life events on blogs (Hoyt & Pasupathi, 2008), Twitter (Coppersmith, Harman, & Dredze, 2014), and Amazon Mechanical Turk (Grysman, 2015), a website where individuals can complete studies for monetary compensation. These methods allow researchers to move beyond the reliance on convenience college samples, which increases generalizability of findings. LIWC can also be used in clinical work to assess overall trauma symptomology in conjunction with self-report measures and identify markers of recovery. Trauma narratives are a key feature of many evidence-based trauma interventions including the verbal trauma account portion of imaginal exposure in Prolonged Exposure Therapy (Foa, Hembree & Rothbaum, 2007), the impact statement about the personal meaning of the traumatic event used in Cognitive Processing Therapy (CPT), and the written trauma account in CPT + Account (Resick, Monson & Chard, 2016). While components of trauma narratives have been found to reflect overall trauma symptomology (Jaeger et al., 2014), LIWC can also parse out detailed linguistic markers indicative of specific features of PTSD. Crespo and Fernández-Lansac(2016) reviewed 22 studies that used linguistic procedures to evaluate trauma narratives and connected specific linguistic features to PTSD symptomology. Narrative disorganization and fragmentation (e.g., repetitions, unfinished utterances, and speech fillers), emotional and sensory/perceptual aspects, and references to self were all related to overall PTSD symptomology across studies (Crespo & Fernandez-Lansac, 2016). Clinicians can use LIWC to analyze trauma accounts to better tailor interventions to the patient’s specific needs. For example, trauma accounts with increased references to self, particularly related to actions or inactions during the traumatic event, may be indicative of distorted self-blame which can be targeted during treatment. Furthermore, patients often complete trauma narratives at multiple timepoints during treatment, often highlighting pre/post markers of recovery. LIWC can be used to track linguistic markers in the trauma narratives associated with trauma symptom improvements (D’Andrea et.al., 2012; Marshall et al., 2017). LIWC is not without some limitations however, as the software has difficulty accurately categorizing more complex components of writing including sarcasm, metaphors, and idioms (Iliev, Dehgani, & Sagi, 2014). The use of a computerized system also creates opportunities to mischaracterize writing that would be caught by human eyes. Back, Kufner, and Egloff (2010) analyzed text messages sent in the aftermath of September 11, 2001 and found that anger-related words were widespread and increasing for more than 12 hours after the attack. However, a reanalysis of the data (Pury, 2011) found that messages automatically generated by cell companies (e.g., ‘critical’ server problems) were coded as anger-related emotional content, thus overinflating the findings. Additional work is clearly needed to improve text analysis software to reach accuracy levels of human coders, the “gold standard” in analyzing complex language (Iliev et al., 2014). Researchers and clinicians must carefully consider how to balance the ease and efficiency of automated text analysis software with the precise accuracy of a hands-on approach. In sum, LIWC aims use objective linguistic data to evaluate language in a trauma narrative beyond the surface level content an individual is expressing in an attempt to provide more in-depth data on trauma symptoms and processing. Existing literature has found specific linguistic markers which are associated with trauma symptomology, and although limited, recent research has suggested promising results of the ability of linguistic markers to predict trauma symptom change over time. Thus, althoughLIWC is not a trauma specific measure it can contribute meaningful, objective data that can be integrated with other trauma symptom assessments (e.g., CAPS-5) to provide a more comprehensive picture of an individual’s trauma symptoms. As the field as a whole strives to improve the accuracy of assessing trauma symptoms and effectively treat symptoms, LIWC is one source that can provide additional information. Back, M. D., Küfner, A. C., & Egloff, B. (2010). The emotional timeline of September 11, 2001. Psychological Science, 21(10), 1417-1419. Coppersmith, G., Dredze, M., & Harman, C. (2014). Quantifying mental health signals in Twitter. In Proceedings of the Workshop on Computational Linguistics and Clinical Psychology: From Linguistic Signal to Clinical Reality (pp. 51-60). Foa, E. B., Hembree, E. A., & Rothbaum, B. O. (2007). Prolonged exposure therapy for PTSD. New York: Oxford University. Grysman, A. (2015). Collecting narrative data on Amazon’s Mechanical Turk. Applied Cognitive Psychology, 29(4), 573-583. Hoyt, T., & Pasupathi, M. (2008). Blogging about trauma: Linguistic markers of apparent recovery. E-Journal of Applied Psychology, 4(2), 56-62. Iliev, R., Dehghani, M., & Sagi, E. (2015). Automated text analysis in psychology: Methods, applications, and future developments. Language and Cognition, 7(2), 265-290. Marshall, K., Venta, A., Henderson, C., Barker, M., & Sharp, C. (2017). Linguistic analysis as a method for assessing symptoms after sexual trauma among female adolescent psychiatric inpatients. Journal of Child Sexual Abuse, 26(8), 910-926. Pury, C. L. (2011). Automation can lead to confounds in text analysis: Back, Küfner, and Egloff (2010) and the not-so-angry Americans. Psychological Science, 22(6), 835. Resick, P. A., Monson, C. M., & Chard, K. M. (2016). Cognitive processing therapy for PTSD: A comprehensive manual. Guilford Publications. Westerman, N. K., Cobham, V. E., & McDermott, B. (2017). Trauma-focused cognitive behavior therapy: Narratives of children and adolescents. Qualitative Health Research, 27(2), 226-235. doi:10.1177/1049732315627795. 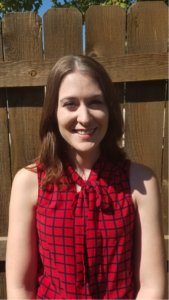 Kaisa Marshall is a fourth-year doctoral student in the clinical psychology program at Sam Houston State University. Broadly, her research focuses on the assessment and prediction of trauma symptoms, and more specifically, how the language individuals use to discuss their trauma relates to their symptomology. She is also interested in how early traumatic experiences influence a youth’s developmental functioning and later interactions with the justice system and treatment response. In the future, Kaisa plans to continue her research and clinical work with clients experiencing trauma symptoms, particularly justice-involved youth. Stephanie Gusler received her M.A. in Psychology from Wake Forest University. She is currently a doctoral student in Clinical Child Psychology at the University of Kansas. Her primary research focus is on mechanisms, such as appraisals of trauma and emotion regulation, that may help explain the intergenerational continuity of trauma from parent to child. Stephanie hopes to implement research that can be used to inform interventions for parents who experienced childhood maltreatment, to help prevent the continuation of trauma for their children. 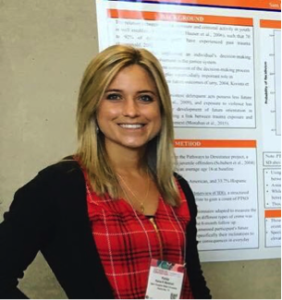 Lee R. Eshelman, PhD recently graduated from the clinical psychology program at Miami University and completed her internship at the University of Wisconsin Department of Psychiatry. 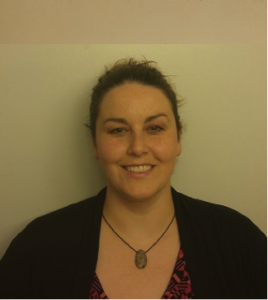 She is currently the Women’s Health postdoctoral fellow with the University of Michigan/Ann Arbor VAMC Consortium.